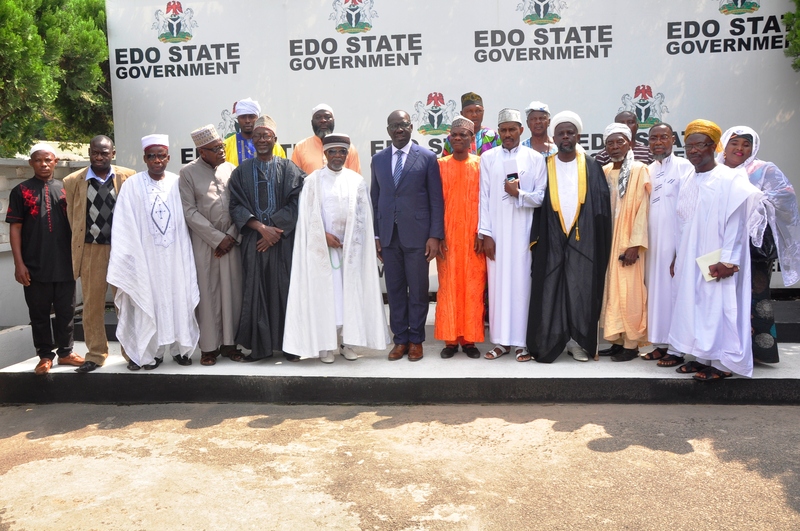 Edo State Governor, Mr. Godwin Obaseki, has warned against disruption of prayers and other religious activities at the Benin Central Mosque, insisting that persons or groups found disturbing the area will be dealt with accordingly. The governor gave the warning during a meeting with Muslim leaders in the state led by Speaker, Edo State House of Assembly, Rt. Hon. Kabiru Adjoto and the Otaru of Auchi, His Royal Highness (HRH) Alhaji Aliru Momoh Ikelebe III at the Government House in Benin City, Edo State. Obaseki noted that he was aware of the leadership tussle at the Benin Central Mosque involving Alhaji Edosomwan and Alhaji Enabulele, adding that he refused to interfere, with the hope that both parties will resolve their differences internally. “As a government, we saw the development, challenges, and crisis as an internal matter that needed to be settled by members of the faith. The death of Alhaji Edosomwan should have naturally resolved the matter but I was disappointed that the crisis continued. I am glad that the issue has been addressed,” he said. Governor Obaseki also commended the Otaru of Auchi and other Muslim leaders in the state on how the leadership tussle was handled and the subsequent turbanning of Alhaji Fatai Enabulele, as Chief Imam of Benin Central Mosque. “You have done what the faith asked you to do by turbanning Imam Fatai Enabulele as the Chief Imam of Benin Central Mosque, so be it. The government has no choice but to recognise him as the Chief Imam,” he noted. Obaseki expressed confidence in the leadership of the Otaru of Auchi and Alhaji Kabiru Adjoto, adding that he will continue to consult them for advice relating to affairs of Muslims in the state. The Otaru of Auchi, Alhaji Momoh Ikelebe III, explained what was responsible for the leadership tussle at the Benin Central Mosque, noting that the tussle has been laid to rest with the death of Alhaji Edosomwan. He condemned the disruption of activities at the Benin Central Mosque, noting that a true Muslim should not subscribe to thuggery.